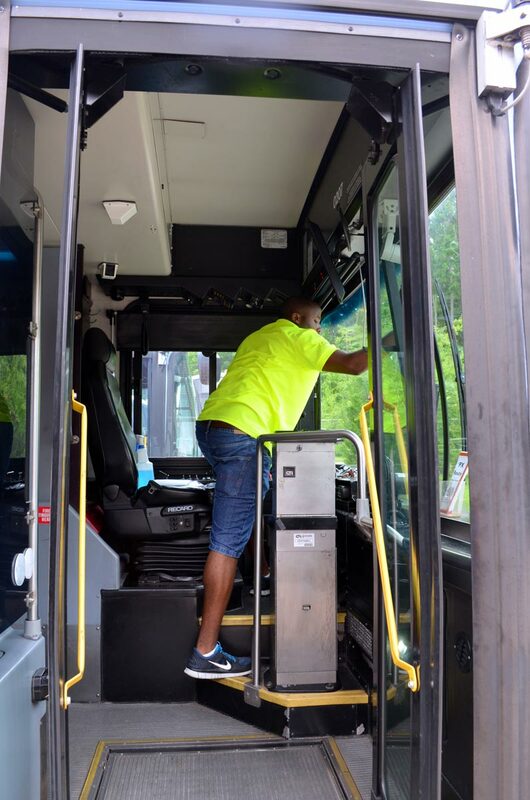 EV manages a contract with Chapel Hill Transit (CHT) to perform interior bus cleaning services – called detailing at CHT’s maintenance yard in Chapel Hill. 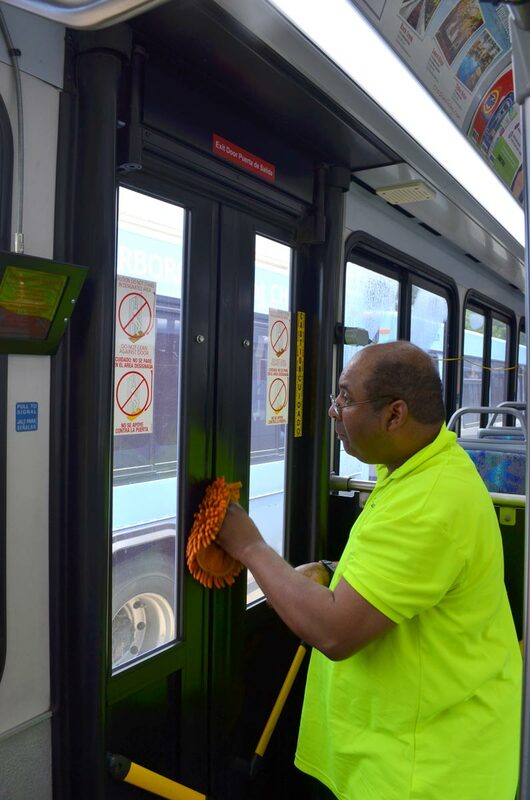 What began as a pilot operation has expanded into a viable business in which EV crews detail five buses per shift, several days a week. 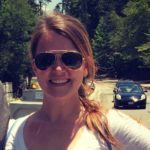 Importantly, the business affords EV employees an opportunity to work in an integrated setting with hundreds of CHT employees and enjoy socializing with other workers and friends. The work itself is highly structured. Crew members are given individual assignments. 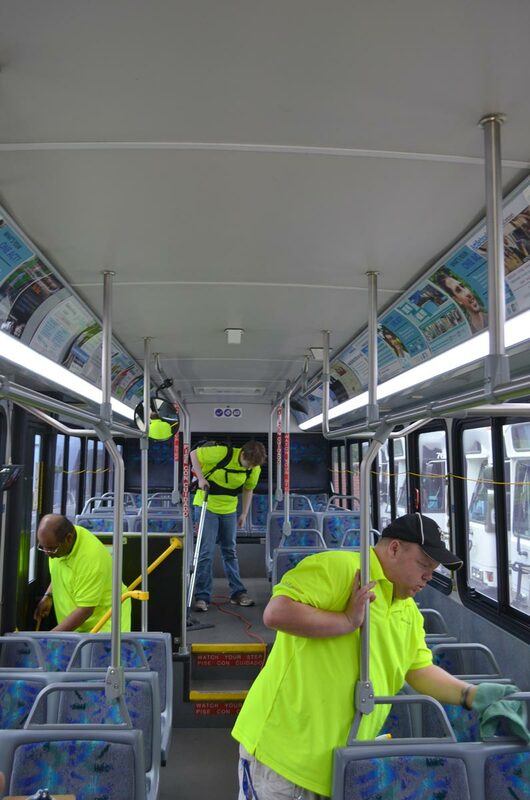 Instructions are written down and check lists are provided to the workers and their job coaches to follow as they go along. 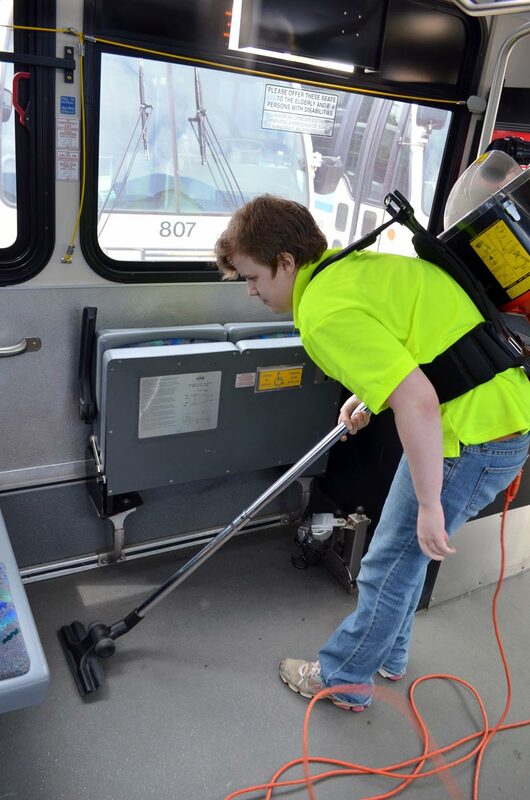 The tasks include sweeping, washing windows, vacuuming, wiping down seats, and cleaning the driver’s area. 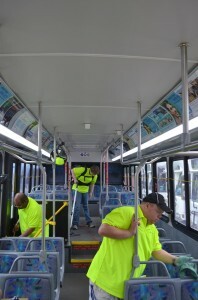 While working, employees wear special yellow shirts that say “EV Bus Crew” for identification and safety. 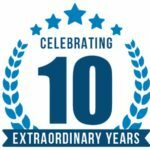 More than 10 workers earn a paycheck from this business.